Please find above scans of the supplication to be recited thrice at the end of the hijri year, taken from Shaykh Abd al-Hamid Quds from Mecca’s work Kanz al Najah. Salutations and blessings of Allah Most High be upon our Master Muhammad, his family and companions. O Allah, those actions that I have performed in the past year which You forbade me from but I did not repent from and resulted in You being displeased, likewise that which I forgot to perform but You did not forget. You also gave me respite despite Your power to punish me and invited me to repentance after my transgressing against You. O Allah, I seek Your forgiveness from this so please forgive me. O Allah, any action which I performed which pleased You and for which You promised a reward and forgiveness, then please accept it from me and do not cut off my hopes in You, O Generous One, O Most Merciful. To be repeated thrice. This is not from a Prophetic hadith but a general prayer which some Sunni scholars have found favourable. 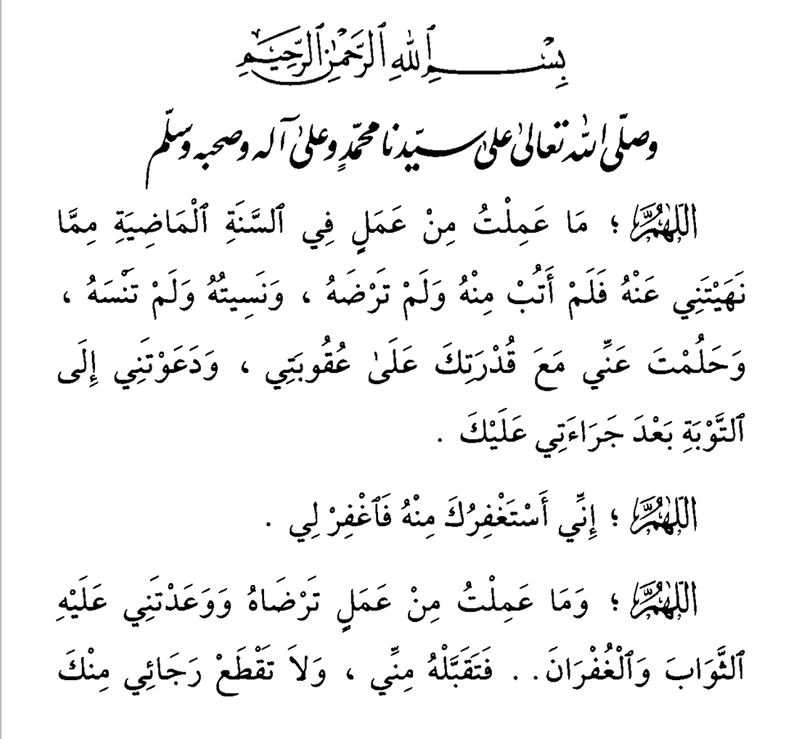 I came across the following prayer in the famous Azhari/Ottoman scholar of Palestine, Shaykh Yusuf al-Nabhani’s book Al-Wird al-Shafi, which is a compilation of the wording of the prayers contained in the book Al-Hisn al-Hasin of Imam al-Jazari. I think the readers will agree that the words of the prayer are just as relevant today as when they were originally authored in the last century. The additional point that Shaykh Yusuf al-Nabhani hailed from Palestine should not be lost on readers, not least in these final days of Ramadan when events in Palestine are foremost on the mind of many believers. You cannot put a price on the value of getting good advice from someone. Seeing some very young ulema barely out of their teens being in the position of offering advice/issuing fatawa does make me wonder what depth and quality of advice they can offer those faced with difficulties in their daily lives; as the saying goes, there is nothing like experience itself. A young scholar who has never tasted the delights of what of many of us experience on our daily commutes and full time work cannot offer advice in that area (sorry Mawlana/Mufti Sahib, that part time job in a supermarket/family business doesn’t count). Just as a young scholar who hasn’t been married long and hasn’t raised a family cannot really offer much in the way of marriage counselling or a convincing lesson on ‘ways to raise your family’. I found the following guidelines to be quite useful from the work Ghayat al-Manuwwah by Hazim Khanfar (p.73 onwards) where he quotes Imam al-Mawardi on those whose advice should be sought. Perhaps the guidelines mentioned may enable us to reflect and take note before we seek advice from people and prevent us from being misinformed about a correct course of action. Second: That the person be a practising Muslim and pious. Third: That the consulted be one giving sincere advice (nasiha) and caring. Fourth: That the person being consulted is free from worries and concerns. 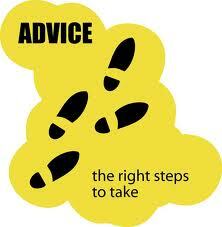 Fifth: That person whose advice is sought does not have a personal interest in the in the matter being discussed. For those with children residing in non Muslim countries of the West the issue of raising children is one of great concern. The seeming downward spiral in morals and behaviour in popular culture is disturbing, and is churning out a new generation more dysfunctional to the ones previous to it. More can perhaps be written on this in the future Insh-Allah. I recently took off the shelf my approximately 10 years old copy of Mufti Taqi al-Uthmani’s excellent commentary on Sahih Muslim entitled Takmilah Fath al-Mulhim. I had not looked through it seriously for a long time, but after opening it soon remembered why it had been a work Ihad often looked through on a regular basis. I thought I would share the following brief extract which highlights the care and attention our predecessors took in the upbringing of their children. Al-Izz al-Dirini said, “The normal pattern is that a person who is breastfed by a woman will be predominated by her character, whether it be good or evil.” End of al-Sakhawi’s words in Maqasid al-Hasanah (p.227, 228 no.524). We ask Allah (Most High) to protect us and all of our children; Amin. Allah is the Light of the heavens and the earth. The similitude of His light is as a niche wherein is a lamp. The lamp is in a glass. The glass is as it were a shining star. (This lamp is) kindled from a blessed tree, an olive neither of the East nor of the West, whose oil would almost glow forth (of itself) though no fire touched it. Light upon light. Allah guides unto His light whom He will. And Allah speaks to mankind in parables, for Allah is Knower of all things. Al-Baghawi said: The people of knowledge have differed over the meaning of this similitude. Some of them said this similitude is of the light of Muhammad (Allah bless him and give him peace). 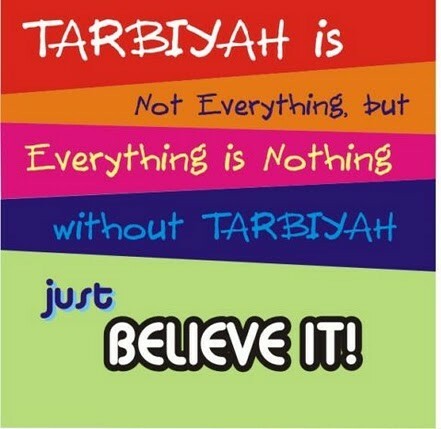 Ibn Abbas said to Kab al-Ahbar, “Tell me about His (Most High’s) words ‘The similitude of His light is as a niche’. Kab replied that this likeness was struck by Allah of His Prophet (Allah bless him and give him peace). The niche (Mishkat) is his chest, the lamp is his heart and the glass in it is Prophethood. The light and matter of Muhammad (Allah bless him and give him peace) would almost become manifest to people, even if he did not articulate that he was a Prophet, just as the oil would glow even if it was not touched by light. Light upon light. Salim related from Ibn Umar regarding this verse: The niche is the inner self of Muhammad (Allah bless him and give him peace), the glass is his heart and the lamp is the light which Allah placed in him. ‘Neither East nor West’ meaning neither Christian nor Jewish. ‘Lit from a blessed tree’ meaning Ibrahim (Upon whom be peace). 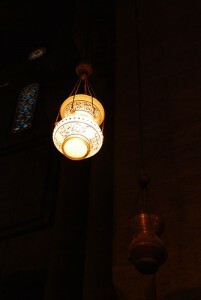 ‘Light upon light’ the light of Ibrahim upon the light of the heart of Muhammad (Allah bless him and give him peace). Muhammad bin Kab al-Qurazi said: The niche is Ibrahim, the glass is Ismail and the lamp is Muhammad (Allah bless him and give him peace). Allah named him a lamp (Misbah) just as he named him ‘Siraj al-Munir‘. Lit from a blessed tree which is Ibrahim (Upon him be peace). He was named blessed (mubarak) because the majority of the Prophets are from him. ‘Whose oil would almost glow forth (of itself) though no fire touched it’ The excellent qualities of Muhammad (Allah bless him and give him peace) would almost become apparent to people before he was given revelation. ‘Light upon light’ A prophet from the offspring of a Prophet, the light of Muhammad upon the light of Ibrahim (Blessings and peace be upon them both). Please find below extracts regarding fasting from an on-going translation project which we hope to complete in the near future inshAllah. The text called Shir’ah al-Islam, by Allamah Muhammad bin Abi Bakr al-Samarqandi, a respected scholar of the Hanafi school. 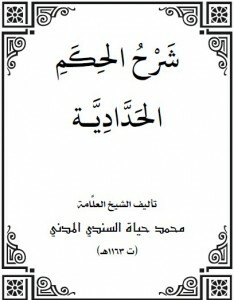 The text covers the Sunnahs related to various aspects of a Muslims life, and has been printed with an excellent commentary by Sayyid Ali-Zadah which further elaborates on the points mentioned by the author. We hope the passage below is of some benefit for the month of Ramadan which is fast approaching. Fasting for Allah (Most High) is a shield from the hellfire, a door of worship, zakat of the body and lessens arrogance and lust. It increases piety, makes the scales of deeds heavy…makes the traversing of the bridge (Sirat) easy and makes the body healthy. It illuminates the heart and intellect. From its sunnahs is that a person intends to fast at night, intending by means of it to conquer his ego which orders to evil, and to cut off its evil desires. He should not engage in false and vile speech and leaves all that which does not concern him. He refrains listening to that which is detested. He neither swears at anyone nor fights them. If someone disputes with him he says: ‘I am fasting’. He should adopt tranquility, reverence, piety and silence. If anyone confronts him with that which he dislikes he says to him, ‘Peace be upon you (Salam Alaykum) I am fasting’. He should not engage in that which might result in the invalidating of the fast, such as the bathing house, cupping, physical contact, kissing and looking at women. From the Sunnahs of the month of fasting is to prepare for it from the month of Shaban, by repenting (tawbah), leaving bad actions, making up with enemies, seeking forgiveness for any acts of oppression, rejecting any causes distracting one from doing acts of goodness, making a good intention for doing acts of good and to dedicating oneself to good actions. 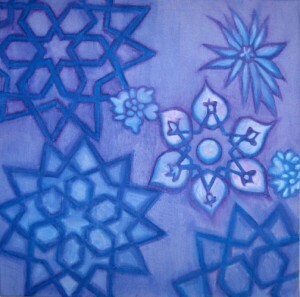 أمنت بالله الذي خلقك (A new moon of goodness and right guidance, I believe in Allah who created you). 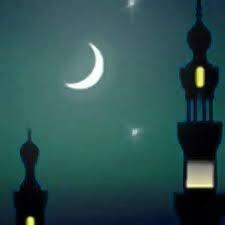 (O Allah manifest this new moon upon us with safety, faith, security and Islam). He increases spending in Ramadan, gives leeway to his debtors and lightens the load on his servants. He makes much remembrance (dhikr) of La Ilaha Illallah and forgiveness (istighfar). He asks Allah Most High for paradise and seeks refuge in Him from the fire. He should not leave the blessed meal which is the pre-dawn meal (suhur) and should delay it. He delays it to the last part of the night because it is from the practice of the Prophets (Peace be upon them). He hastens to break the fast and should not pray Maghrib before breaking the fast. He breaks the fast with something sweet, it being superior that it be with dates and if he does not have it then pure water. The Prophet (Allah bless him and give him peace) would break his fast with three dates or something which was not cooked by fire. It is said that he would break the fast in the summer with water and in the winter with dates, and supplicate at this time with his most important needs. He should not join between his lunch and dinner when breaking the fast so as to not be deprived of the reward of fasting and the benefit of fasting being nullified, which is to conquer the ego which orders with evil. 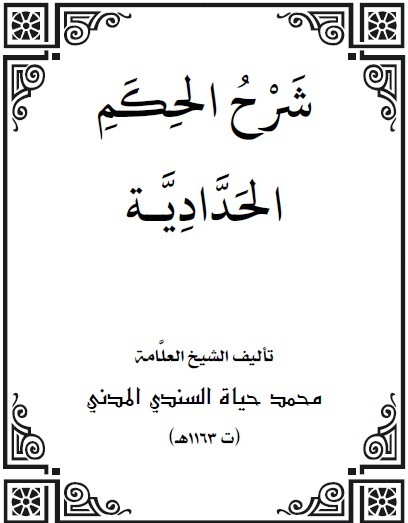 We continue with some very brief extracts from the commentary of Imam al-Habshi on the al-Wasiyyah by Imam al-Haddad. The detailed commentary of Imam al-Habshi contains many gems, thus it is a difficult task deciding what to translate and what to leave. However we hope the material presented will give a glimpse of the benefits contained within the lines of this poem and its accompanying commentary. Thanks are extended to Sidi Amin Buxton for his translation of the poem. With ease and attain your goal and desire.. Advising with taqwa is the matter which is most deserving of being mentioned first, as it is the advice of Allah, the Lord of the worlds to the early and later people. Likewise it is the means to all of the good in the world and on the day of judgement. 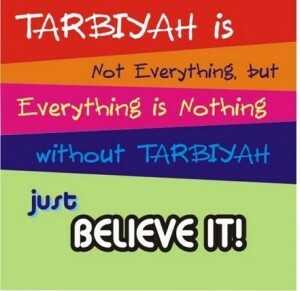 It is the firm steadfast foundation of the believers and the great precious treasure of the truthful ones. Manners (Adab) is of great importance to the Sufis, Allah (Most High) said, “O those who believe protect yourselves and your families from the hellfire” [al-Tahrim:6]. Ibn Abbas (Allah be pleased with both of them said, “Meaning teach them good manners and educate them”. In the hadith it is mentioned, “No father has gifted his son with a gift better than good manners”. [al-Tirmidhi 1952; al-Hakim 4/292]. One of them said: He who does not have good manners (adab) has no sacred law (shariah), nor faith (iman) nor tawhid. Know that all of the religion is good manners, for every action there are good manners, for every spiritual state (hal) there are good manners, for every rank (maqam) there are good manners, for every moment there are good manners, such as the manners of wudu, prayer, fasting, zakat, Hajj, knowledge, recitation, dhikr, the manners of working and unemployment and the manners of wealth and poverty. Taqwa is the core principle of the people of the spiritual path upon which they have built their matter, and it is as one of them said, “Four: Establishing the obligatory acts, avoiding the unlawful, following the sunnah and adhering to good manners”. Another of the Sufis said, “The core principles are three, First: That he makes the sacred law (shariah) the ruler upon his intellect and desires. Second: Viewing the self in utmost lowliness and despicability, such that he does not see that it deserves anything. These two are knowledge based principles. The Third is: Action based, which is action and struggling…”. “And from this I say that the the more preferable interpretation of the verse ‘I do not ask you for a wage..’ is except that you show love to my close relatives, household and family. This is because he (Allah bless him and give him peace) was the seal of the Prophets, and there is no Prophet after him. Rather the scholars of his community from the people of outward and inward knolwedge were placed to call towards Allah after him (Allah bless him and give him peace). Due to this Allah (Most High) ordered His Prophet (Allah bless him and give him peace) to order his community to show love to his household (Ahl al-Bayt) because Ali (Allah be pleased him) and the Imams from his offspring were the Poles (Aqtab) of the perfection of sainthood (wilayah). It was due to this that the Messenger of Allah (Allah bless him and give him peace) said ‘I am the city of knowledge and Ali is it’s door’ which was reported by al-Bazzar, al-Tabarani from Jabir and it has supporting narrations from the hadith of Ibn Umar, Ibn Abbas, Ali and his brother, and was graded Sahih by al-Hakim.